Hello and loving winter greetings to you all, whether you’re steaming in the southern hemisphere or shivering up north with me! Here’s a beauty that has already received a tsunami of glowing praise, and I’m here to offer up my thoughts. I’ve got a sample of Zoologist Camel! I have sampled a few Zoologist offerings, and they’ve been fun and unique, but this is the first one that has me breathing deeply with ecstasy! 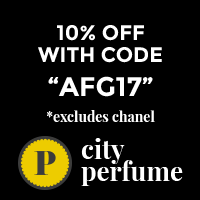 I’ve noticed by reading reviews that this perfume seems to vary quite a bit from person to person, and my experience is unique as well. On my skin, Camel opens with a delicious ripe red fruit accord, which makes me think of sweetened pomegranate juice. This sweet fruit-forward cloak is intense and addictive, and completely dominates the majority of the wearlength on me. I can practically taste the sensual delight! It’s juicy, really it is. When I over-apply with fervor, I can faintly detect the oud, but only at the beginning and not very noticeably. The resinous notes are very quiet to start, and have a crackling dry quality thanks to the woody frankincense and cedar. They warm up a bit more once the fruits have calmed, but overall Camel is really a fruity perfume on me. So there you have it, Camel is a softly delicious fruity delight for me! Have you gotten your nose on this perfume yet? What is it like for you? Everyone seems to report back different impressions, it’s fun to read them as they pop up! I’ve never met a Zoologist that I liked, but everyone is raving about this one. Which ones have you tried, Gina? I have read good reviews of Camel and Bat but not enough to run out and buy some. Or even put it on my wishlist. Hmm. Did you like it? I haven’t tried any from this brand, but that is one of the top ones I’d like to sample. I love the idea behind the company and was hoping their fragrances were just as good. So glad you reviewed this. I have been considering getting a sample of this. After your review, I definitely want to try it. Hmmm.Camel is one I am not overly excited to try. I have tried all the rest, though. Dragonfly was too insipid for my tastes, and the original Panda made me scratch my head in puzzlement. I should have liked it, but I wasn’t terribly fond of it. I am deeply in love with Nightingale and Bat. I also love Macaque, as it is like a brighter Cristalle (Chanel – did I misspell that?!). Beaver is another I’d gladly wear often; just telling people what I’m wearing is a bit naughty! Rhino is hedonistic fun and Hummingbird is divine on a warm day.